…but you can learn to surf! Puerto Surf has been rated the number one of surf houses in Puerto Escondido. Established in 2006, they pride themselves on providing and maintaining high quality accommodation, friendly service and superior surf instruction. David, co-founder of Puerto Surf, started surfing over 25 years ago with his 5 brothers. He is known as a skilled and creative freestyle surfer. 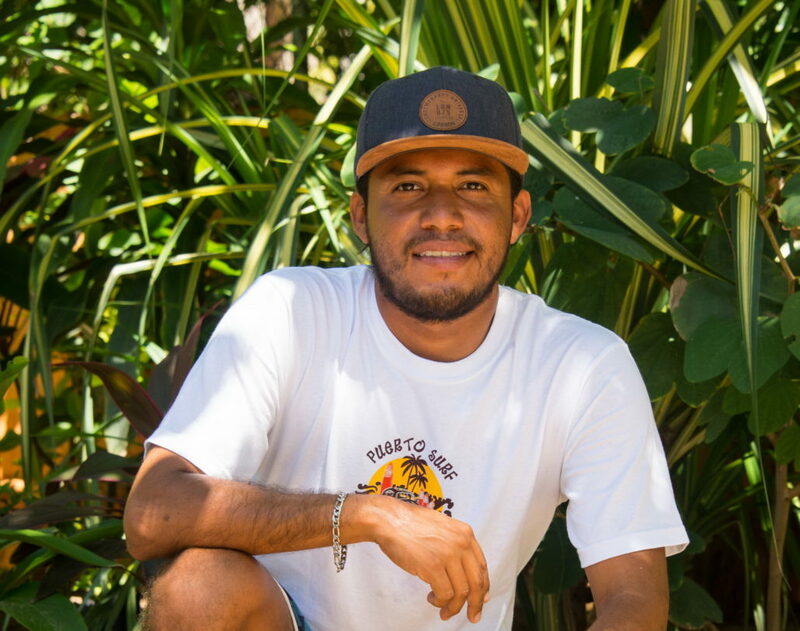 David has been teaching students to surf for over 13 years and loves to pass along his passion for the sport. 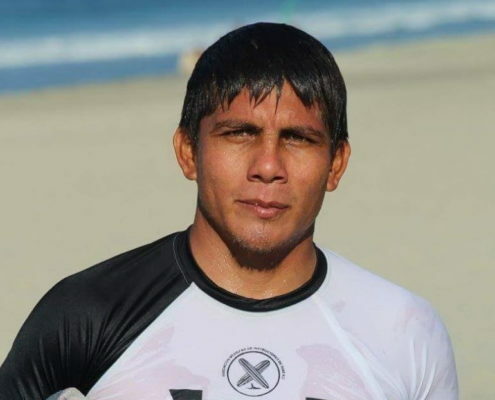 His ability to understand other languages such as English and German allows him to teach surfing to many people from around the world. He has travelled to various surf spots around the world and often entered surf competitions. 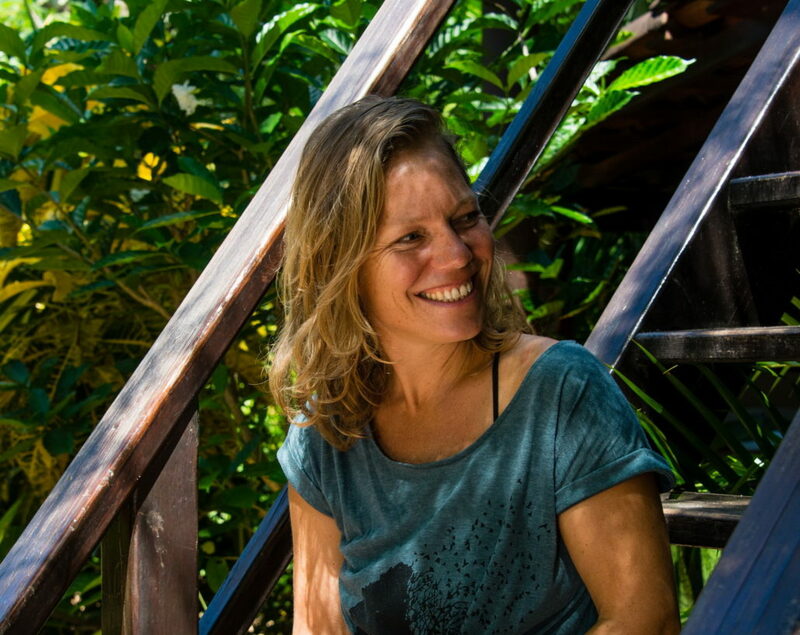 Swantje, co-founder of Puerto Surf, was born in Germany and is a certified Pilates instructor, Yoga teacher and travel agent. 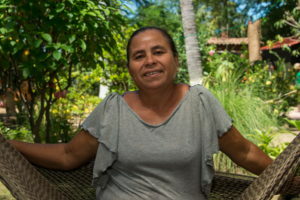 She has lived in Puerto Escondido since 2006 and now travels between Germany and Mexico for the school year. Swantje takes care of the administrative side of the business including the reservations. She speaks German as well as fluent Spanish and English. 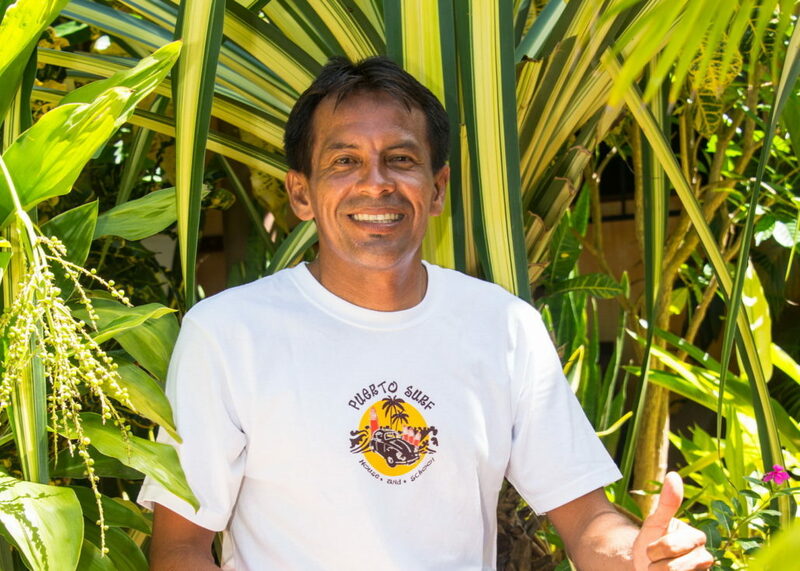 Maim, a Puerto Surf Instructor, loves teaching his students about the sea. A former lifeguard, he knowledge of the ocean is profound. He uses a long board and is an excellent boogey boarder. 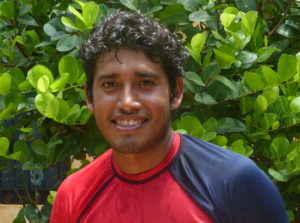 Julio, a Puerto Surf Instructor, specializes in beginners. His classes focus on technique and the fundamentals of surf. Julio surfs with a short board. 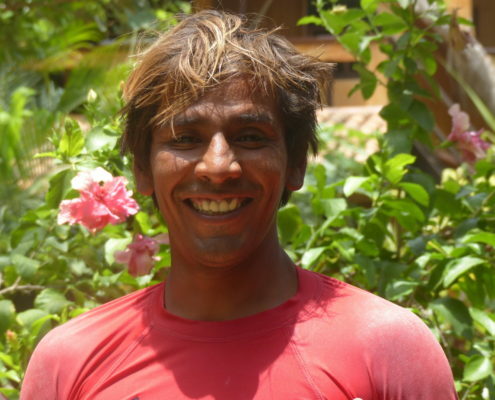 Ari, a Puerto Surf Instructor, is from Puerto Escondido and loves to teach students the fundamentals of surfing. He enjoys keeping the classes fun and lively. He surfs with a short board. 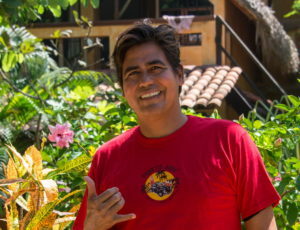 Chu Chu, a Puerto Surf Instructor, “the big rider”, of our team. Likes to coach intermediate and advanced students. Certified by Amisurf, speaks spanish and english. Shock, a Puerto Surf Instructor, always transmiting good vibes, pacient, calm and makes you feel secure about yourself during surf class. Certified by Amisurf, speaks spanish. 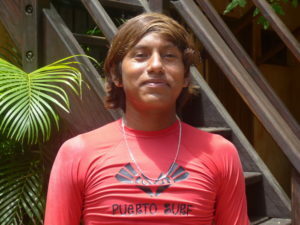 Luis, a Puerto Surf Instructor, he is the youngest in our team, he is like a fish in the water. Always in movement during the class and very helpful. He works great instructing kids. Toya has been at Puerto Surf since it was founded in 2006. Toya makes sure the rooms are clean and tidy. 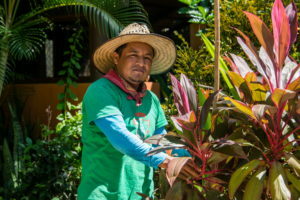 Marcelo is the Puerto Surf gardener. You will see his green and colorful masterpieces flourishing all year round. 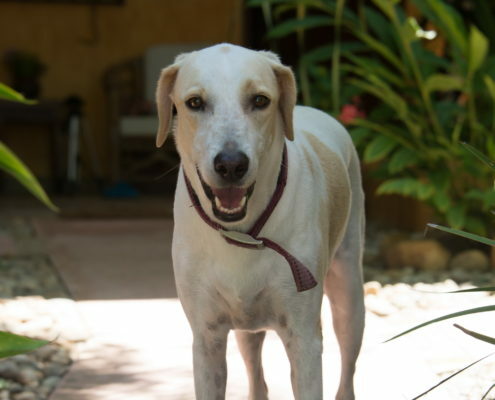 Frida is an important part of the Puerto Surf family. She loves belly rubs and long walks on the beach.